There are an estimated 78 million dogs kept as pets in the United States - and if you’re considering adding yourself to this statistic, you’re probably asking yourself a million questions. Do you have time for an animal? Which breed would be best for you? Should you adopt a shelter dog? To help you answer these questions, we’ve created this guide for first-time pet owners so you can make a confident and informed decision that will lead you to your future best-friend - your dog. There are many things to consider when choosing a breed. The first of these is how big of an animal you can comfortably house. Large dogs not only require more room in your home, they also need a good amount of outdoor space to play and run. You may also want to consider the decor of your home. Large dogs have a tendency to knock things over and that tail may be exactly the same height as your coffee table. No amount of training will control that happy (but destructive) wagging. Another thing to consider when choosing a breed is your lifestyle and activity level. Some breeds are incredibly high-energy and will enjoy daily runs and trips to the lake, while others are perfectly happy to marathon the latest Netflix series then take a nap. Identifying your own activity level will help you choose a naturally compatible breed. Of course, there are a number of possibilities so make sure to research potential breeds before coming to a decision. Depending on the size of your family, you may want to hold a meeting before your new pet’s arrival. Not only will this give you a chance to determine who will complete what dog-related chores when and talk about how it will be important to give the animal some space when it first comes home so he doesn’t feel overwhelmed, but you should also discuss what words you’ll use to train your new animal. For example, if mom says ‘down’ to keep the new pup off the furniture, but dad uses ‘down’ to teach the dog to lay down and wait, and in the meantime, their young daughter is demanding that the dog ‘sit down’ - the dog won’t be anything but confused. To avoid this, consider using ‘down’ for laying, ‘sit’ for sitting, and ‘off’ for furniture-related infractions. Next, you’ll want to make a list of all the supplies you’ll need to purchase before welcoming your new pet into your home and start researching and meeting with local veterinarians until you find one you’re comfortable with. Finally, dog-proof your home as much as possible before your new pet arrives. Secure any loose electrical cords, move houseplants out of reach, secure shoes and garbage cans, and put any low-lying breakables out of harm’s way. For puppies this may mean designating and preparing one room where the animal will spend most of his time. It’s important to keep your pet’s first day home as quiet and uneventful as possible. Take the day off from work so your animal doesn’t feel immediately abandoned but don’t overwhelm him with attention, either. Instead, allow your dog to take the reigns while you follow his lead. Let your new pet explore and sniff and check out his new surroundings. Your dog may seem lethargic the first day home and that’s okay. It’s normal. He should perk up within the first week or two as he becomes more comfortable with you and your family. Bonding with your new pet can be frustrating in the first few days since the animal isn’t used to you or the unfamiliar surroundings. This can be upsetting to children who envision an immediate friendship so encourage them to be patient and spend one-on-one time with the animal once he’s settled. Make yourself accessible to your new pet by sitting on the floor and schedule thirty minute blocks of quality time that you can spend brushing your dog, training him to sit, playing with toys, or going for a walk. 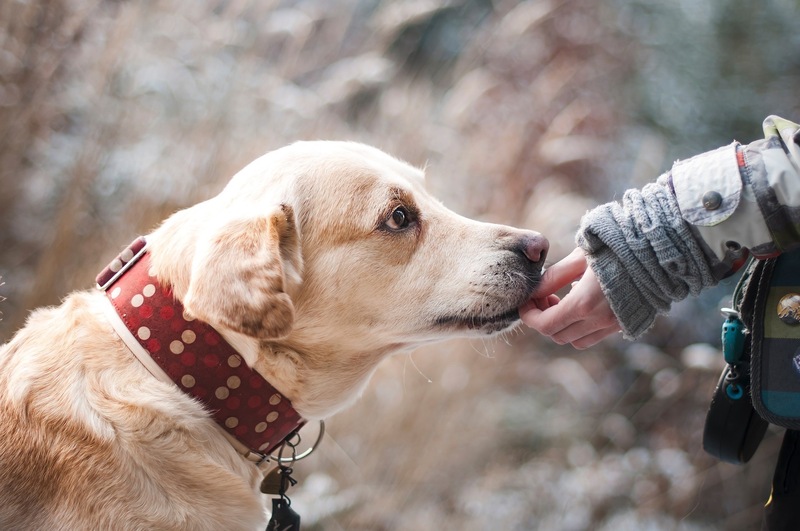 Once your animal begins to feel comfortable, make time for outings to a local dog park, lake, pet-friendly shop, or canine bakery for some specialty baked treats. While puppies are usually considered challenging, elderly and rescue pets have specific challenges of their own and may require more patience than you would expect. It may take these animals longer to come out of their shells after bringing them home. Rescue pets especially may sleep for days in the quiet comfort of your home after spending so much time in a loud and frightening shelter. Having patience also applies to any frustrated outbursts you may have in response to accidents and destruction that may further frighten the animal, which can set back your efforts at bonding. Elderly pets may already be housebroken but resist bonding with you. Again, give it time. Once your new pet feels comfortable in his new surroundings he’ll open up and you’ll begin to see his personality emerge. Bringing any new pet into your home is both exciting and frustrating. There will be accidents. There will be chewed-up shoes and overturned garbage cans. But there will also be snuggles and kisses and romping through the yard with a ball or a stick. Be patient and compassionate with your animal. He’s uncertain, even scared, at first. Give him time and he’ll open to you, creating a lifelong bond that cat-people can only hope to understand.